Every Monday, 10.30 a.m. to 4.00 p.m. - criminal (hearings only). Every Tuesday, 10.30 a.m. - criminal; 2.00 p.m. - family law (except third Tuesday of the month). Every Wednesday, 10.30 a.m. - criminal; 2.00 p.m. - family law. Third Tuesday of every month, 10.30 a.m. - civil. First Friday of the month - special hearings only. A latvian man who drove his car while already banned from driving has being given another ban, this time he got an 11 year ban. The judge also gave him a 4 month prison sentence but he was lucky as the judge suspended the jail term. The man was already serving a 3 year driving ban when the Garda caught him driving without insurance in Rush, Co, Dublin. The judge also fined him €500 for the no insurance charge and €300 for driving while he was already banned. A man in his 50s was charged with filling his car with €90 worth of petrol from a filling station in Balbriggan and driving off without bothering to pay for the fuel. Bilking, which is driving off without paying for fuel is on the increse around North County Dublin. There's hardly a week goes by without someone ending up in court for doing a runner from filling stations. Case Adjourned. Cavan Man Refused To Leave Garda Station. A Cavan man who had arrived in Swords Garda Station asking about his friend who had being arrested beforhand started giving the Garda abuse. He called the Garda unrepeatable names and refused to leave the station when asked. The 19 year old said he was afraid of going to prison and said he was very sorry for being drunk and abusive to Garda. He was let off. He received a suspended 1 year sentence, which means if he ends up in court in the next year the sentence could be activated, the Cavan man went home a happy camper. Lusk Man Gets 150 Hours Community Service For Driving While Banned. A man from Dun Emer in Lusk was caught by the Garda driving his car when he was already banned from driving. He was stopped by the Garda on the Forest Rd. Swords last July. His previous relates to driving with no insurance and given the Garda wrong information. A man was caught by the Garda selling Cigaretts at the market in Balbriggan said he wanted the money to buy drugs as he was addict. The smokes had no government seal and were regarded by the Garda as being ''Black Market'' smokes. The arrested man was from Dundalk and had less than 100 smokes for sale. Te judge fined him €100. The woman was driving in Lusk with no lights on. She was only banned from driving a few months ago for driving with no insurance. The Garda caught her again. The judge gave her another ban, this time for 4 years. He also fined her a total of €1,050 for no insurance and driving while already banned. The judge said she'll be going to prison if she keeps this carry on up. She was on the way to Lucan in West Dublin when stopped. The man had only bougt the car, but went drinking and crashed it on the way home to Boroimhe at the Forest Road. He also had no insurance on the car.. The judge fined him a total of €800 for driving while drunk and having no insurance. He also got a 2 year ban. The 2 women who are living at Carnigie Court North Street Swords were caught stealing goods from Dunnes Stores to the value of €80. One of the women said that loads of other people rob from shops and that they too can do it. They were given probation. Nigerian Crashes Into Parked Car In Swords. 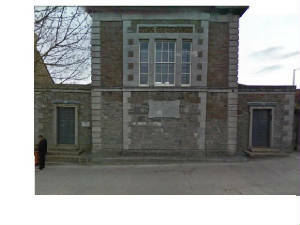 The majorty of cases heard in The Swords courthouse relate to drunken fights which take place on the main street every weekend, other cases are for drunken driving, stealing from shops. The avarage fine handed down for drink driving is two thousand euro and a two year ban. Presisant offenders often get jail time. Other offences include being fined for no television licence. If your unlucky and have to go to court you will most likely find your name in the Fingal Independent newspaper which covers all the trials in Swords court. A woman who lives in Castleview near Applewood in Swords stole more than €700 worth of clothes from T.K. Max shop at The Pavillions. The woman pleaded guilty to the judge. She had 3 previous convictions. Her defence said she was going through hard times at the moment. The judge fined her €500.